There are so many different kinds of mothers. Before I had a child, I often found myself studying the many mothers around me, taking note of the parenting style of each of them. I noticed some mothers who didn’t blink an eye when their baby fell and hit his head, who shrugged if he accidentally ate a peanut before age two. There were others who jumped when the slightest whimper escaped their baby girl’s lips and kept her far away from any hands other than their own. Most fell somewhere in the middle. I’d like to say I’m part of the third group. I don’t find myself to be particularly neurotic. Rosemarie climbs onto every object possible in my house including her activity cube, the back of her plush Pottery Barn chair, and even her toy shopping cart. I encourage her to climb as I believe it is part of her physical development. (I did, of course, draw the line when she climbed onto the bay window.) I let her eat pretty much any that food is around her even if the box says it was “processed in a facility that also processes peanuts,” and I have always let others hold her and play with her. This winter, though, I found myself acting a bit less nonchalant than usual. In the first week of November, after two days with a runny nose, Rosemarie started coughing fairly frequently. 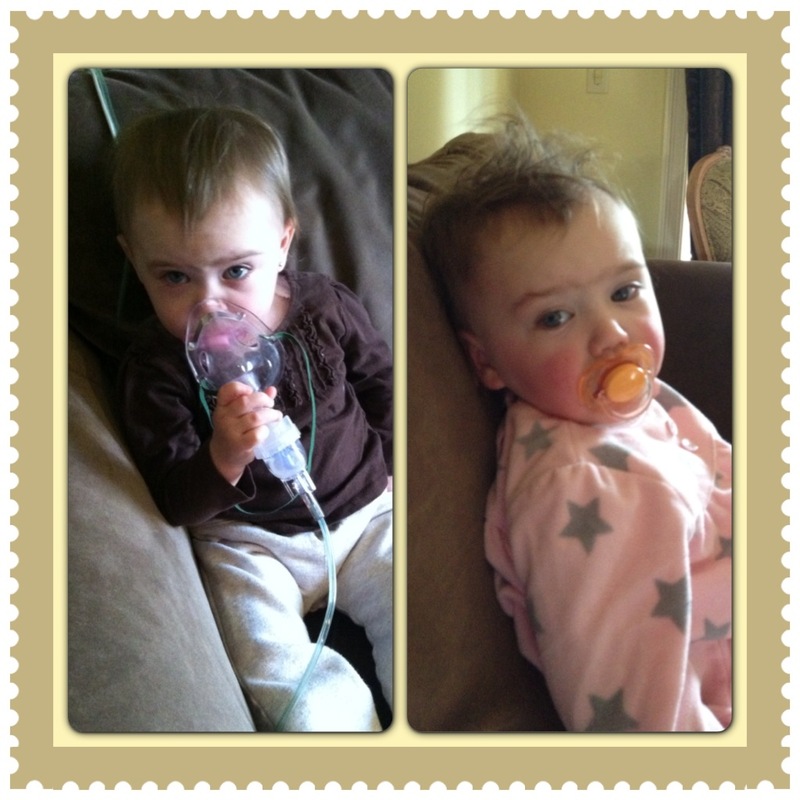 She was soon diagnosed with bronchiolitis as she had been at 5 months old. We started the nebulizer three times a day and in a week’s time, we saw improvement. 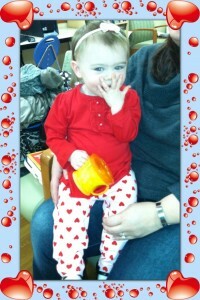 Unfortunately, a day or so later, her congestion and runny nose returned only to be followed soon after by the cough. This cycle repeated itself for the next three months: RUNNY NOSE –> FREQUENT COUGHING —> SPORADIC COUGHING –> RUNNY NOSE –> FREQUENT COUGHING and so on and so forth. My pediatrician assured me that she was fine and the lingering cough was linked to having bronchiolitis as an infant. I was told by many that this was a just terrible cold and flu season and that plenty of other children were experiencing the same as Rosie. Despite all this, I decided to search for an answer, for a reason that even though she was receiving nebulizer treatments three times a day, she could never truly overcome the cough that began in early November and lasted over 90 days. 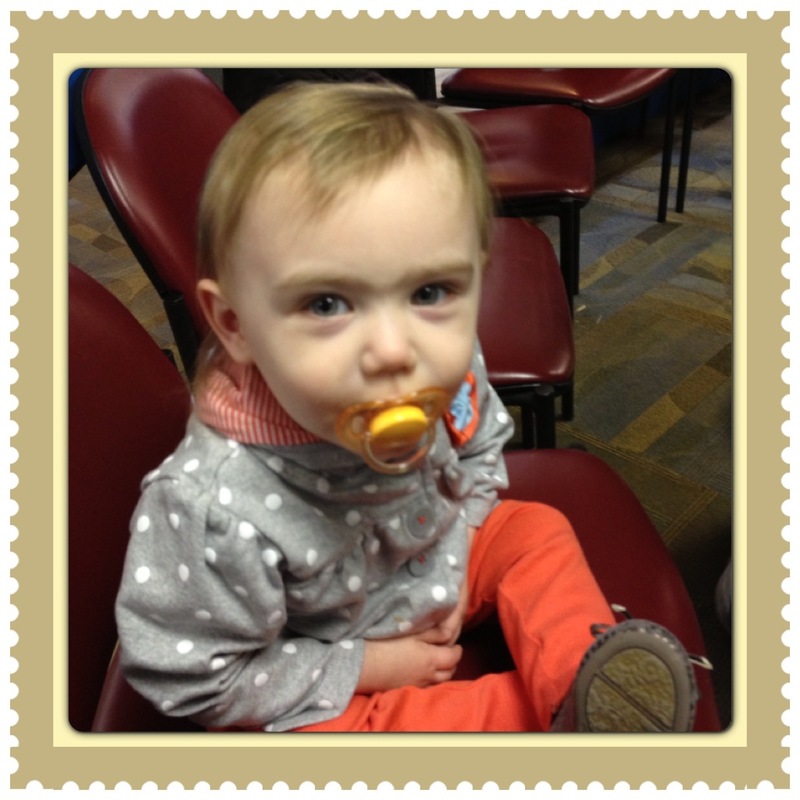 So, between Christmas and Valentine’s Day, I took Rosemarie to see her pediatrician, two pulmonologists, an ENT and, most recently, an immunologist. I was being cautious; some may even say neurotic. I had my reasons. First, when it comes to one’s health, I believe being thorough to be of the utmost importance. When I have met my own doctors and surgeons in the past, I come with a typed list of questions to ask. I write down the answers. I simply believe it is better to be safe than sorry. I believe this even more strongly of my daughter’s health and, I think, even more strongly since she was adopted. In terms of your child’s health, there is a difference between adopting a child and birthing one. No matter how open an adoption is or how much information the birth mother shared with the adoptive mother, the child does not have your genes. She does not have the same family medical history as you do. You did not carry her within you for nine months, so you were not present for every moment of her gestation. Thus, no matter how much you know, you wonder if there is something of which you are not aware. As an adoptive mother, it is the safest option for me to assume I do not know everything there is to know about Rosemarie’s genetics or medical history. And if I don’t know everything, then I need to make sure there isn’t a medical issue that we are overlooking because I don’t have the missing clue. My friend immediately began apologizing and continued to do so for way longer than she had to. But I was scared. I hadn’t even thought CF, which is an inherited disease. Sufferers of it have a defective gene that causes the production of an extremely thick and sticky mucus, which leads to clogged and infected lungs as well as the body’s inability to digest and absorb food. Today, the life expectancy of a person with CF is 35 years. Both my sister Katie and her son were tested for cystic fibrosis as babies. Their symptoms were much like Rosemarie’s, worse but similar. Their tests were negative, but would hers be too? I suddenly remembered the skin taste test, which simply requires you to lick your child’s head. It is said that the skin of children with cystic fibrosis tastes salty due to the high levels of sodium chloride in their sweat. I licked Rosie’s forehead at least ten times and convinced myself I tasted salt there. I started Googling the symptoms of cystic fibrosis on my phone and texted two of my sisters in panic. Kristen responded assuring me that Rosie did not have CF; Katie called me and explained why I needn’t worry about it, that Rosemarie’s symptoms were not severe enough and that two pulmonologists had seen her and not suggested CF as a possibility. Both Anthony and my pediatrician said the same the following day. The latter explained that if Rosemarie did have untreated cystic fibrosis, she would be severely underweight with a history of pneumonia and gastrointestinal issues. Rosie did not have any of these symptoms, so I breathed a sigh of relief and moved on. 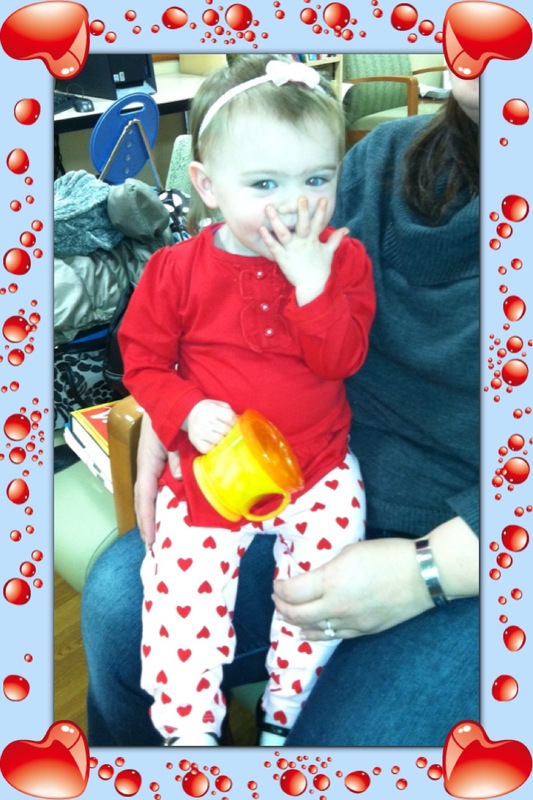 On Valentine’s Day we took Rosemarie, clad in her festive ensemble, to see the immunologist. After I told him the story of Rosie’s health, he said that in addition to a large amount of blood work, Rosemarie would need a sweat test, the test I knew is used to diagnose cystic fibrosis. In a sweat test, chemicals are applied to the patient’s forearm that cause the skin to sweat. The sweat is collected in a gauze, which is then analyzed in a lab. I felt my chest sink into itself. I learned from my mother that it is my job to always remain calm, cool, and collected in front of my child no matter what is happening to her, so I did just that. But, inside, I was freaking out. The doctor explained that while Rosie did not have the symptoms of classical CF, it was possible that some of those symptoms had yet to surface or that she had atypical cystic fibrosis, which he defined as a somewhat less severe form of the disease in which only the lungs are affected. Typical or atypical, we were talking about cystic fibrosis. And, to me, that was Alex, the Life of a Child, the 1986 TV movie starring Craig T. Nelson, which is still the most heartbreaking and horrifying movie I have ever seen. The film is based on a nonfiction book written by Frank Deford about the short but amazing life of his little girl with CF. My memories of the movie are vague but agonizing scenes flashed in my mind of Alex bent over the sink vomiting blood, her brother and she crying side by side in her bed, and her father rushing to the supermarket to get root beer, his dying daughter’s last wish. These were my thoughts in the first hour or so. Eventually, I got a handle on myself and forced myself to calm down. I forced thoughts of Alex out from my mind and refused to Google a single thing about CF until I had the results of Rosie’s test. On Tuesday, February 19th, the morning of the sweat test, I woke up two hours earlier than I needed to. I turned and moved in the bed trying to get back to sleep but had a hard time turning off my thoughts. Poor Anthony was soon woken up by my licking his forehead in an attempt to compare the taste of his to the taste of Rosemarie’s. Despite my nerves, I couldn’t help but burst out laughing when he opened his eyes and stared at me. At 10 am, we took Rosemarie to Long Island for the test. Wearing her new sweatsuit and pewter ballet flats, Rosie waddled around the waiting room pointing at pictures of cartoons and climbing onto the maroon faux leather chairs that lined the walls. A sweat test does not hurt. But Rosemarie screamed as if she were getting her ears pierced all over again. After the chemical sits on the skin for five minutes, the sweat has to collect for 30. We took a walk to the gift shop and Rosemarie pointed out various stuffed animals and crinkled her eyes in excitement. 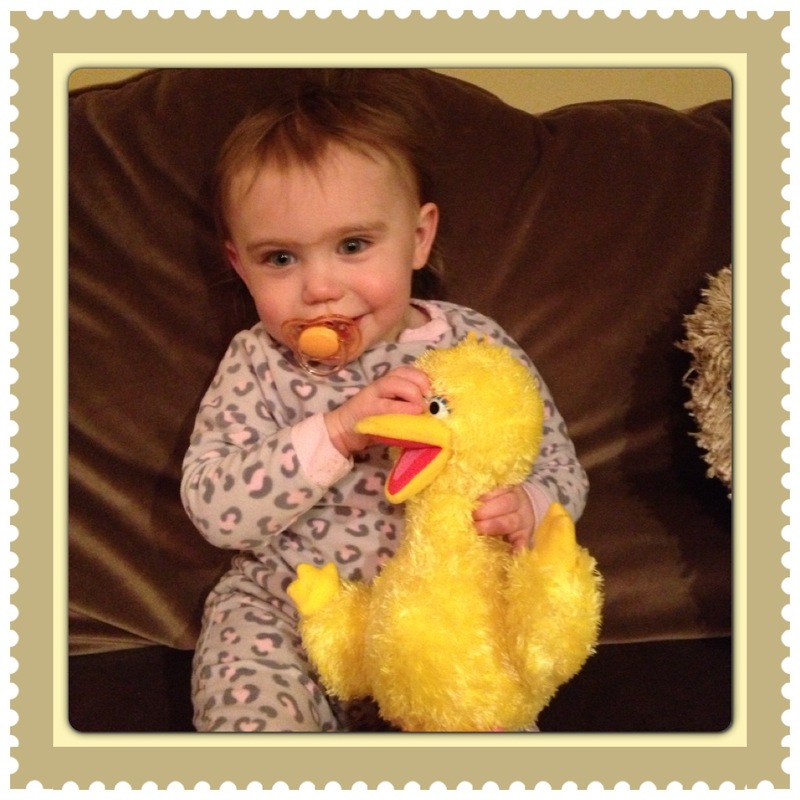 It took great willpower for us to resist buying her the 41 inch Big Bird that she pointed to with her small finger; we chose the foot long instead. We were told we could have the results by the following day. We didn’t. And we didn’t get them on Thurday. Or Friday. The doctor was wonderful at keeping me informed about whether or not he had received the report. Each time I saw a 516 number on the screen, I steeled myself for the results. I took a breath in and put all my efforts into sounding polite and calm. It wasn’t until Monday that I actually needed this preparation. In the split second it took for him to say the world and many thoughts raced through my head. Why would he start with that? Is he preparing me for bad news? Is he building up the will to tell me? “it was negative.” he finished. Was there ever a truer statement? These little people we are raising are our everything. How can we not be neurotic sometimes? Now that all is said and done, I’m happy to call myself neurotic because I’m lucky that I can. I am lucky I can say I panicked for no reason. There are some parents whose panic is necessary, whose doctors do not call with good news, even some who might wish they had been more cautious. I cannot imagine the fear they feel. For their sake, I will enjoy my good fortune. And while we continue to work on figuring out the reason for Rosie’s chronic cough, I will proceed with caution, but I will also remember to sigh with relief and thank God that the worst reason is forever off our table. As many of you know, February 1st was National Wear Red Day. 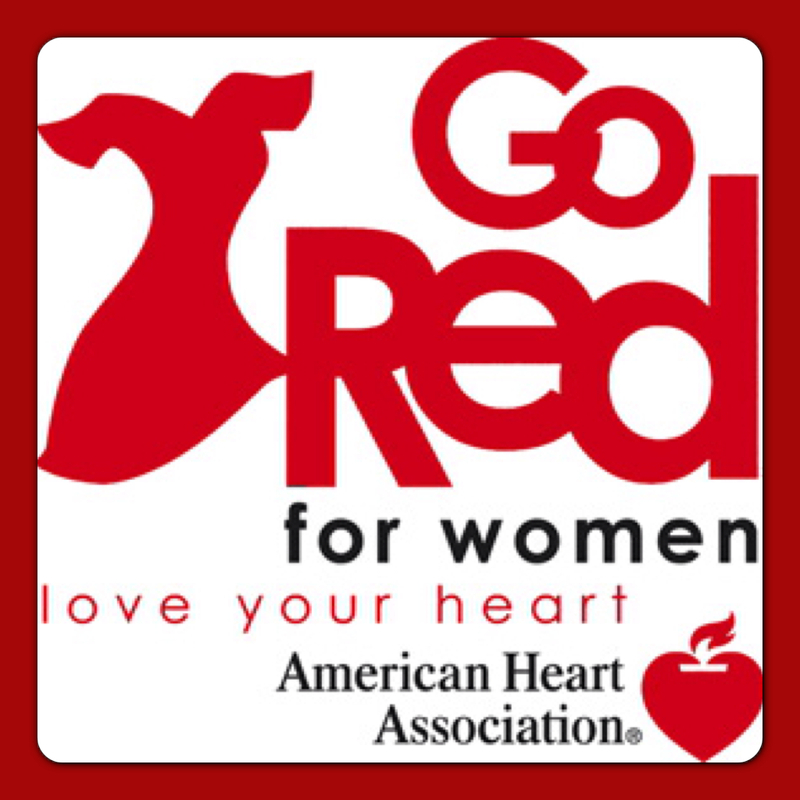 This day, on which we are asked to wear red clothing, was created by the American Heart Association (AHA) in 2003 in order to spread awareness and raise funds to help fight the #1 killer of women in America: heart disease. Taking place on the first Friday of the month, this day is also used as a kick-off to February, American Heart Month. The goal of this movement is to educate women about their risk for heart disease and help expand scientific research on heart health. To my knowledge, much of the AHA’s work seems to focus on cardiovascular events such as heart attack and stroke. In actuality, even though I have congenital heart disease, I am no more at risk for such an event than any other woman. But still, this movement is about women with heart disease and, technically, I am one of those women, so I do feel a personal connection to it. As a woman with heart disease, then, I think during this month when we are asked to focus on our hearts, we should take the time to celebrate them as well, maybe even those that aren’t in the greatest of shape. Today, I’d like to pay a little tribute to my heart, to my poor, deformed but perseverant heart. She deserves this post all to herself. I spoke with a friend the other day, a friend who happens to work in the field of psychology, about the emotional issues I have with my heart and her defectiveness. “I’d love to see you attack your heart like an enemy,” my friend said. I sat quietly for a moment, thinking of what he had said, and was surprised to feel a wave of guilt run through of me. I genuinely felt sad at the thought. Because my heart is not my enemy. Sure, she is bigger than she is supposed to be and has had more than one hole repaired. She may be facing the wrong way and sitting too far to the right. And she is part cow, part human, and part metal. She is one screwed-up organ, but not my enemy. You could say she is the root of many of my problems. She is the reason I had issues with panic and anxiety through most of my twenties. She is the reason I often feel fatigued and then guilty for my lack of energy to share with my daughter. She is the reason I have often felt regretful that my husband, mother, sisters, and others have had to spend many hours of their livings taking care of me or visiting me. She has definitely been a burden in more ways than one, but how could I call her an enemy? She has sat through several catherizations and ablations and three open heart surgeries while she was poked & prodded, sliced & stitched. And when those surgeries were complete and she was called back into duty, she pumped as strongly as ever. When she received her first set of new valves, she kept them working for five years past their expected expiration date. The many times she was overtaken by an arrhythmia or rapid beating, she fought her way back to a normal rhythm, even sustaining jarring shocks from my defibrillator. She is certainly not an enemy. At the least, she is an excellent employee, but I like to think of her as a friend. Really, she has stuck by me through thick (like the wall of her right ventricle) and thin. So, I declare today to be Honor My Heart Day. I am proud of you, heart. I am proud of you and all your battle wounds: your scar tissue, your patches, even your slightly bionic valve. Today, I salute you. Thank you, my friend, for all you’ve done.